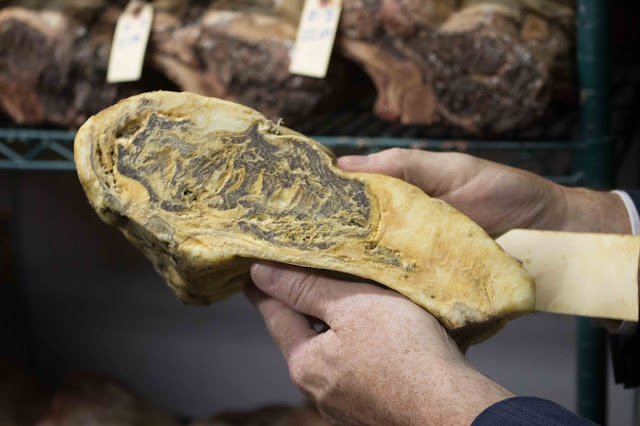 Dry-aging steaks have certainly gone beyond the standard 28-day time frame. Case in point, if you're at Mario Battali's Carnevino in Vegas, you have the chance to indulge in a 240-day dry-aged riserva steak. Dry aging helps in intensifying the beefiness of your standard cuts of steak by breaking down the intramuscular fibers and lending way to a nice funk. 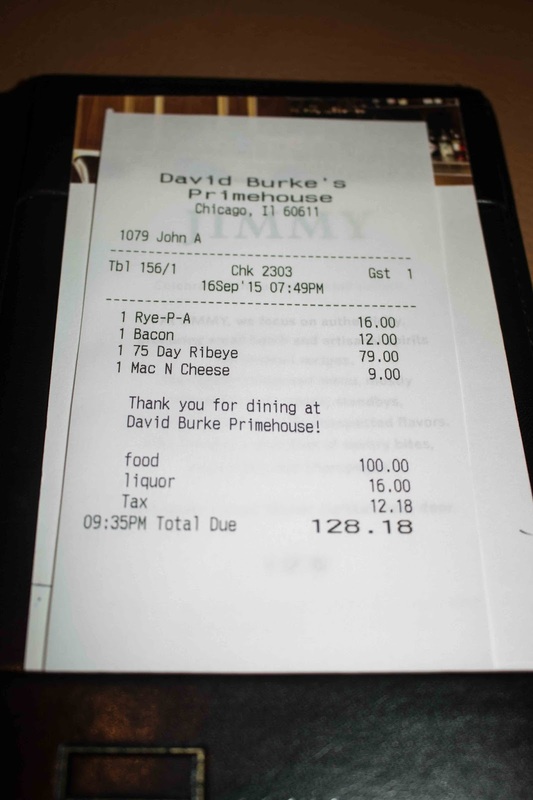 And if you're in Chicago, there's no place better than David Burke's Primehouse to enjoy a proper dry-aged steak. 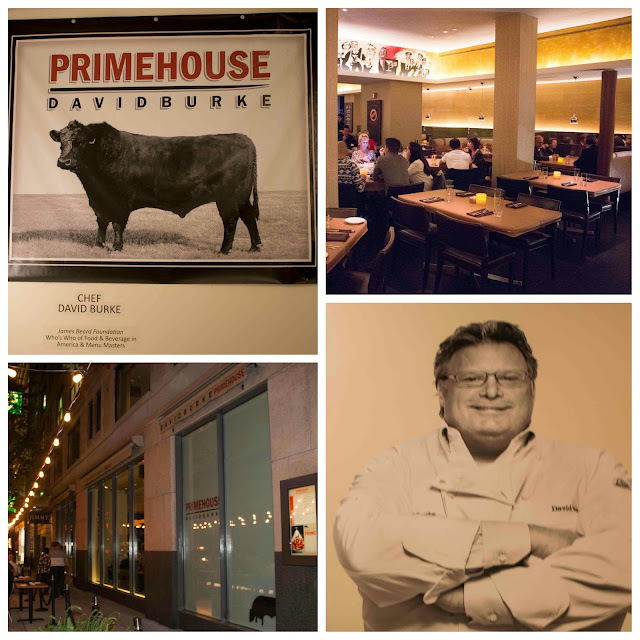 A Top Chef Master in his own right, Chef Burke's got a clear passion for beef. So much so that he was the first chef to own his own bull. Named Prime 207L, or simply Prime, this is the Black Angus bull that's sired the foundation for high-quality steaks. In fact, despite Prime's passing, his sperm has been frozen to continue the line of beef. 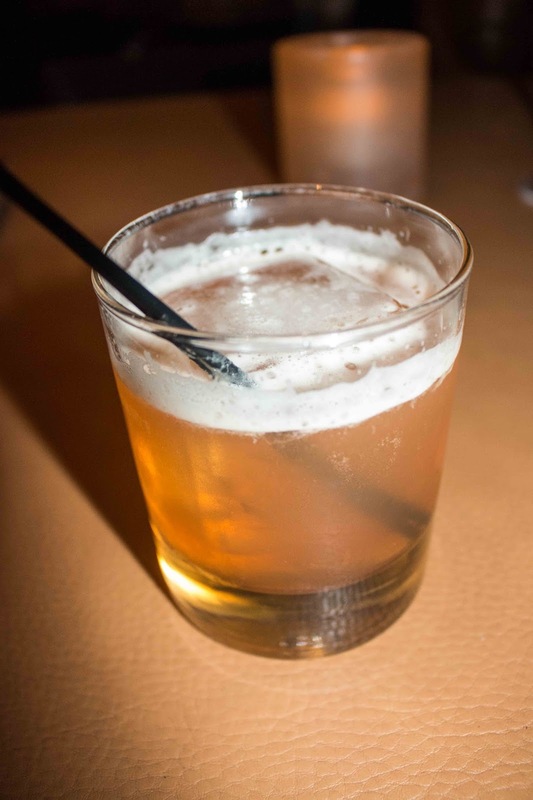 After a long day of conferencing, I decided to start off with the Rye-P-A. I usually only drink stouts if I'm opting for beer, but was intrigued by the potential balance of the IPA with the orange and absinthe. Coupled with the stiffness of the rye whiskey, we're talking about a smooth tipple that comes through with floral citrus notes. 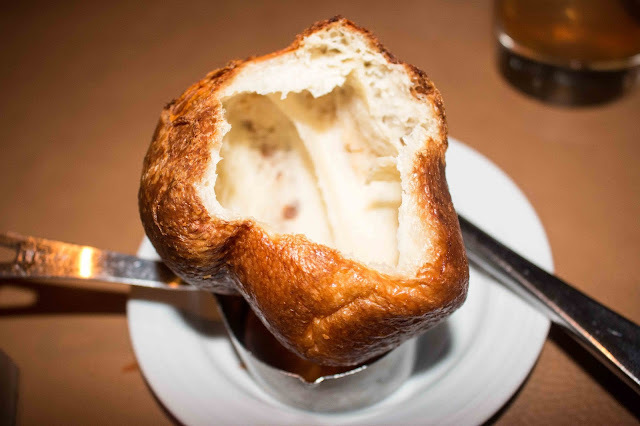 A la BLT Steak in NY, there's nothing I enjoy more than a popover to start. This was one of the best I've had. Perfectly portioned with a nicely crisp texture on the outside, this was studded with salty hits of cheesy Gruyere. 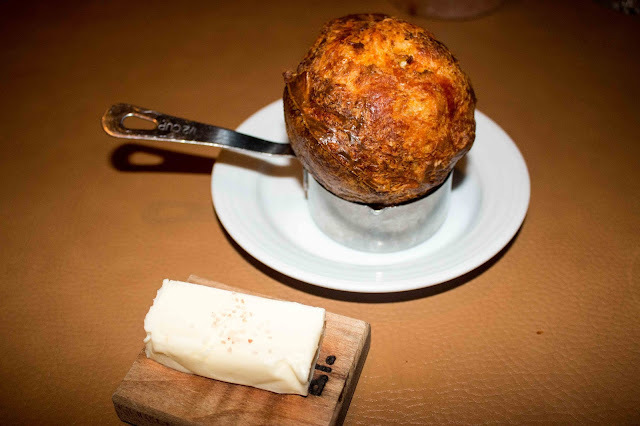 Once opened, the bread within was fluffy and just hot enough to melt the room temperature butter, which was topped with pink specks of Himalayan sea salt. Delicious. I had to get David Burke's bacon dish (this is the Chef who had his own bacon bar!). And I'm glad I did. In fact, consider this one of my last meal dishes. Previous iterations of this dish were presented in "cake pop" fashion and I'm glad they did away with it in favor of this more beautifully presented spectacle of pork. The belly was incredibly flavorful, with the sweetness from the maple syrup rendering it into bacon candy. There was a nice outer crisp as well, which helped to provide some textural balance. 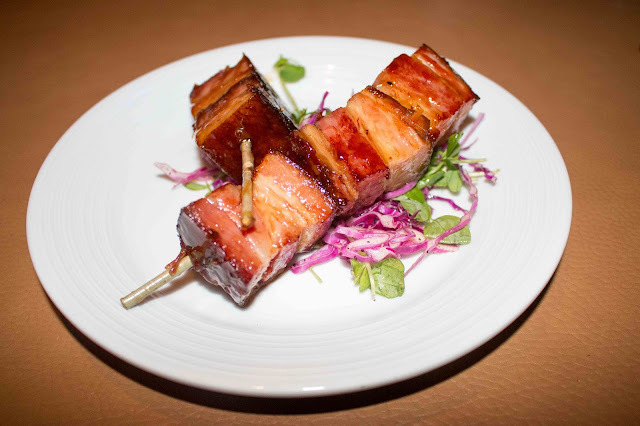 There was a valiant attempt by the crisp red cabbage and pea tendril slaw to cut through the heft of the pork, but the richness of the unctuous belly could not be denied, Seriously the best steakhouse bacon I've ever had, even over Peter Luger's. Ridiculously delicious and a must order. 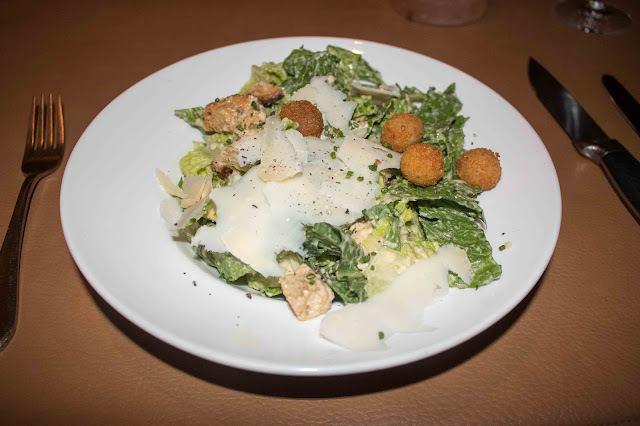 At this point, the kitchen gifted me with the caesar salad with add-on's. Perhaps they were attempting to provide some levity to my meal, which regular readers know centers around carnivorous tendencies. 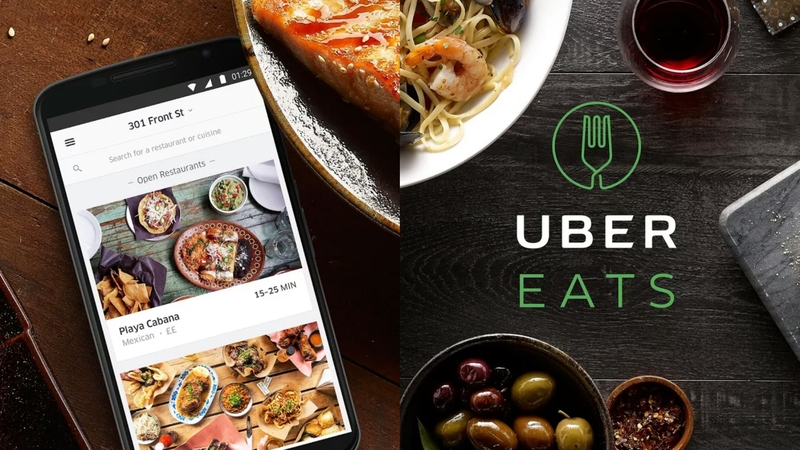 The salad's expertly crafted tableside, with the option of adding on delectable crab croutons or white anchovies to impart some bright salinity to the dressing. The greens were perfectly dressed, with a great depth of flavor from the just-made dressing. The hits of salt from the Parmesan Reggiano and the tasty morsels of lumb crab in the crisp croutons helped to provide additional savoriness to each bite. But really, I was here for the dry-aged beef. They offer several steaks, including the standard 28-day as well as 35, 40 and 55-day aged steaks. But I was here for the bad boy, the 75-day. 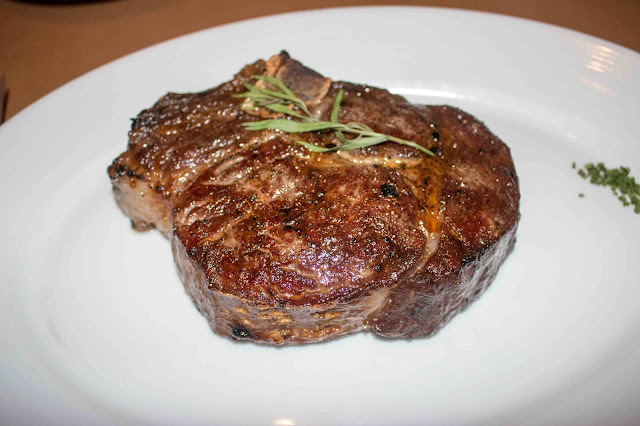 Dry-aged using Chef Burke's patented Himalayan salt brick process, this 20 ounce bone-in ribeye was cooked nicely medium-rare. There was a clear beefy funk that was highly reminiscent of blue cheese, but with a buttery tenderness to the beef due to the tissue breakdown. In fact, the beef finished with a sweetness that was reminiscent of elk. This was delicious and well-executed in that the beef really shined over any overt seasoning or butter one may expect from your more typical steakhouses. 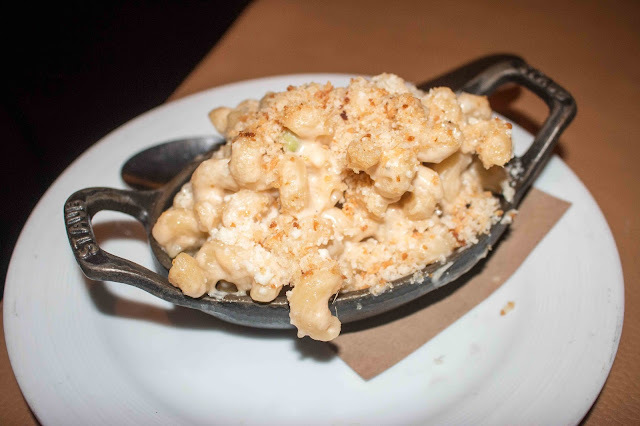 I couldn't stop there - especially when there was mac n cheese on the menu. The noodles were nicely al dente and the melange of sharp cheddar and the funky umami of the Camembert helped to create a creamy and delicious bite. At this point, I was excited to tour the dry-aging room, clearly designated and locked, with the official patent proudly displayed. 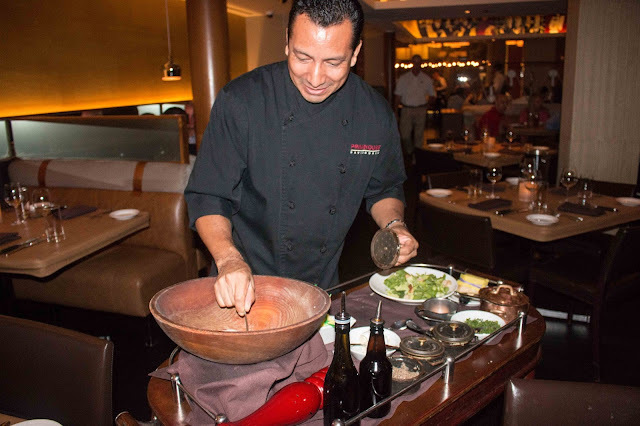 Manager Tommy Livingston (often mistaken for the Chef! 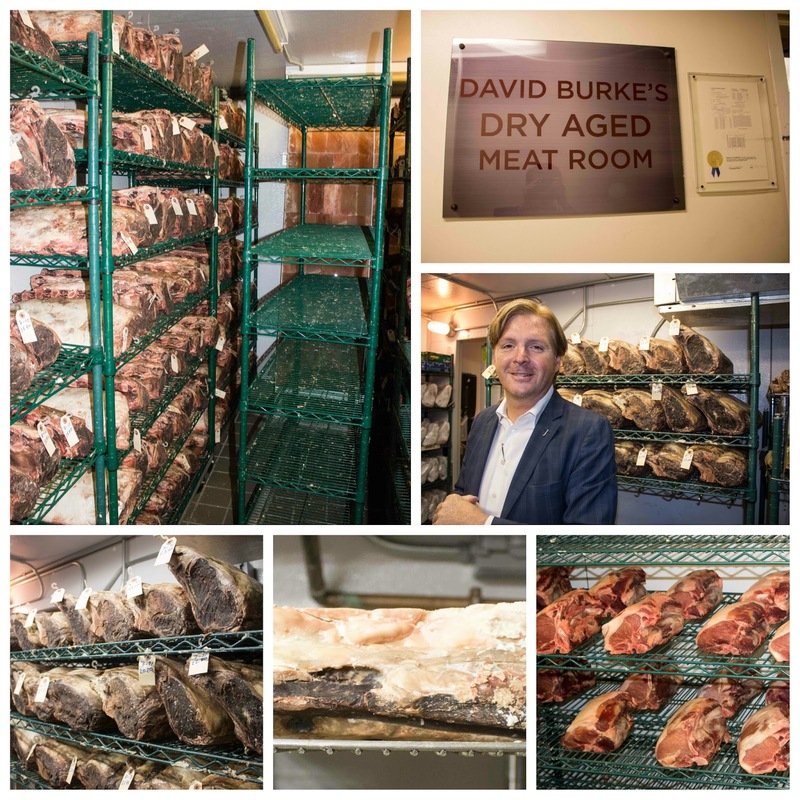 ), described the aging process and proudly highlighted the various cuts, including the ribeyes and the lard, which is aged as well. Apparently, the fat is melted and brushed onto their incredible dry-aged burger. They're even in the process of dry-aging pork, which'll make for an interesting treat. They still had one of their original steaks on display, representing almost a decade of aging! You can see how much of the actual beef gets eaten away during the process. Amazing, though probably not entirely edible. So if you're in Chicago and looking for a proper steak experience, look no further than David Burke's Primehouse. 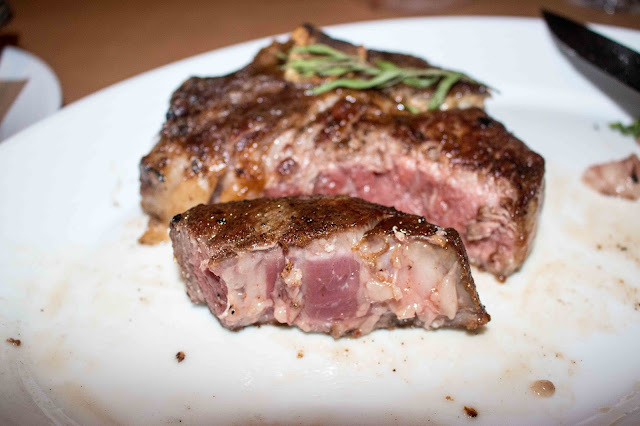 And if you're interested in trying more nuanced flavors compared to your standard 28-day dry-aged ribeye, the 75-day is the way to go. Don't forget a side of that incredible bacon!